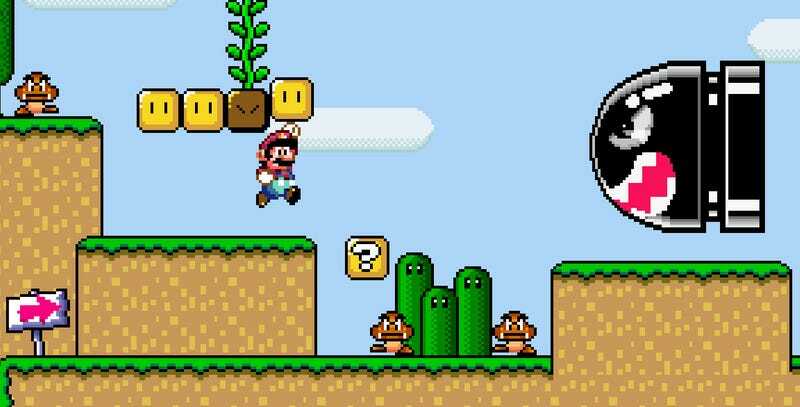 Some of the most impressive Super Mario creations took years to make—and now they’re gone, at least on YouTube. Update - 9:14pm: Alex has clarified to us that he didn’t receive the letter from Nintendo but, rather, saw that another YouTuber who makes similar videos had claimed to receive it and had posted it to Pastebin. That YouTuber, who goes by the handle @switchPCorner, also says that Nintendo cracked down on their channel. Apologies for the confusion. We wish to inform you that the videos in question infringe Nintendo’s copyrights. As the owner of the copyright in the games: Mario Kart 8, Super Mario World, and Pokémon, Nintendo has the exclusive right to perform the games publicly or to make derivative works based on the games. By making a derivative work using Nintendo’s IP, and then displaying Nintendo’s IP on your YouTube channel, you have violated Nintendo’s exclusive rights. Nintendo understands that its fans are the reason for its success, and we are always happy to see people share their passion for Nintendo’s games. At the same time, Nintendo’s intellectual property constitutes its most valuable assets, and the unauthorized use of these assets jeopardizes Nintendo’s rights. Because of this, we ask that you please remove the video in question from your channel, and confirm that you will not post any videos using unauthorized software or copies of games, distribute or continue work on the modification, or take any other steps that would infringe Nintendo’s rights. Alex told me that while he’s not leaving from the speedrunning scene entirely, the YouTube situation hinders his ability to be involved. “It just hurts to see how two very active communities that I participate in, the hacking community (SMWCentral, a site dedicated to SMW hacking) and TASing community (TASVideos, a site dedicated to TASes) are being targeted. We’ve reached out to Nintendo to ask about the situation regarding tool-assisted Super Mario videos online, and will update this post should we hear anything back. In the past, Nintendo’s approach to YouTube has been criticized by prominent YouTubers such as Pewdiepie for not being mutually beneficial enough. This new wrinkle is tricky because, well, Nintendo is within their full right to take down videos of this nature, especially if they involve games that were never purchased (worth noting that some TAS speedrunners do runs on actual carts, though). At the same time, players like Alex have devoted years to showing off what makes classic Nintendo games great, sometimes even raising money for charity at speedrunning events. Entire communities have formed around tool-assisted speedruns, and video is one of the major ways these communities show off their work.